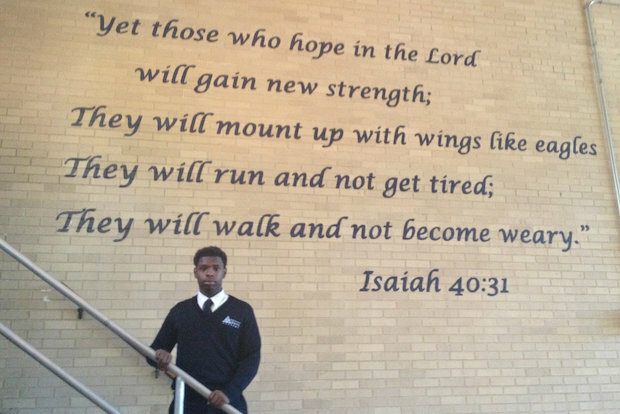 Chicago Hope Academy senior, Christopher Triplett, has dealt with an amazing amount of adversity in the past two years, including several deaths in his immediate family. As the only one left to take care of his mother while she was treated for stomach cancer, Triplett leaned on his faith to overcome the challenges of being a primary care taker, athlete, and student. Triplett’s story of tragedy, strength, and perseverance was profiled by DNAinfo.com, which covers breaking news and Chicago neighborhoods.